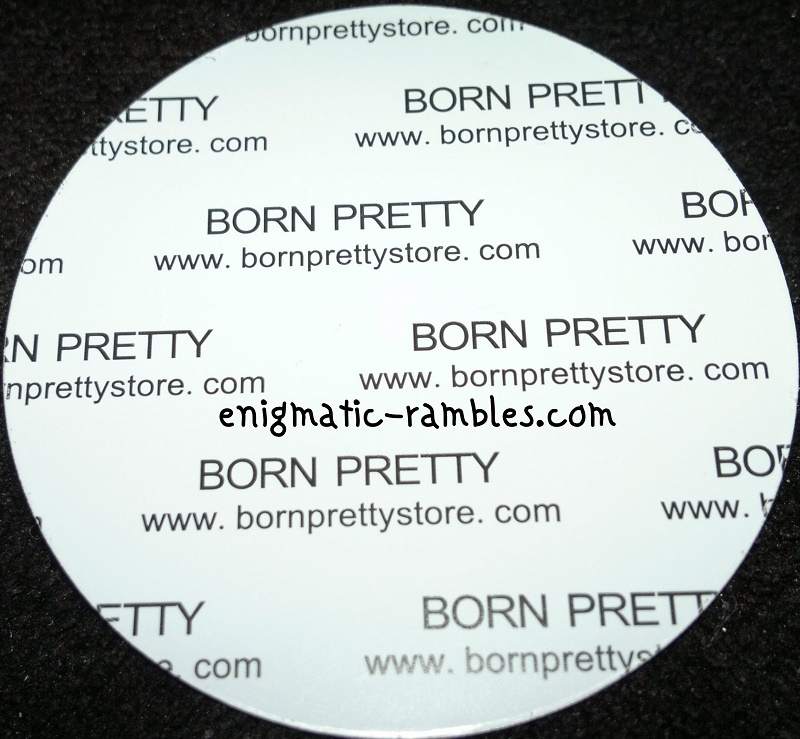 Born Pretty Store recently came out with their own range of stamping plates, I managed to get a couple of these in a special 1p sale. 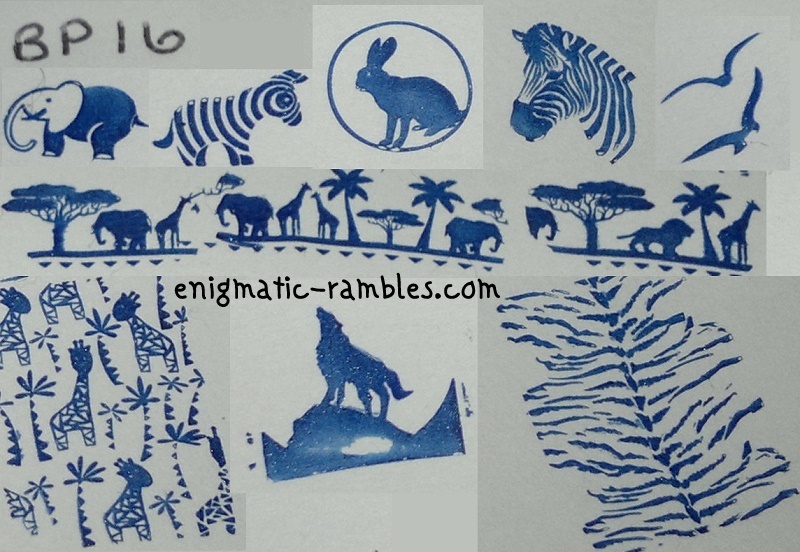 Having not tried any of there plates before I was interested in seeing if they actually stamped, and they do. 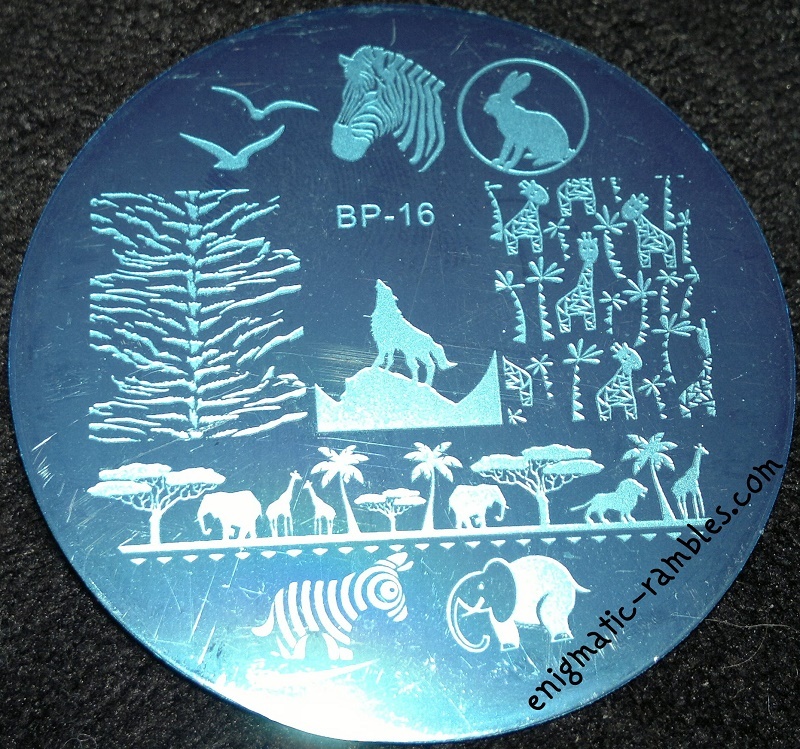 These plates come with a branded backing which means the edges not sharp. 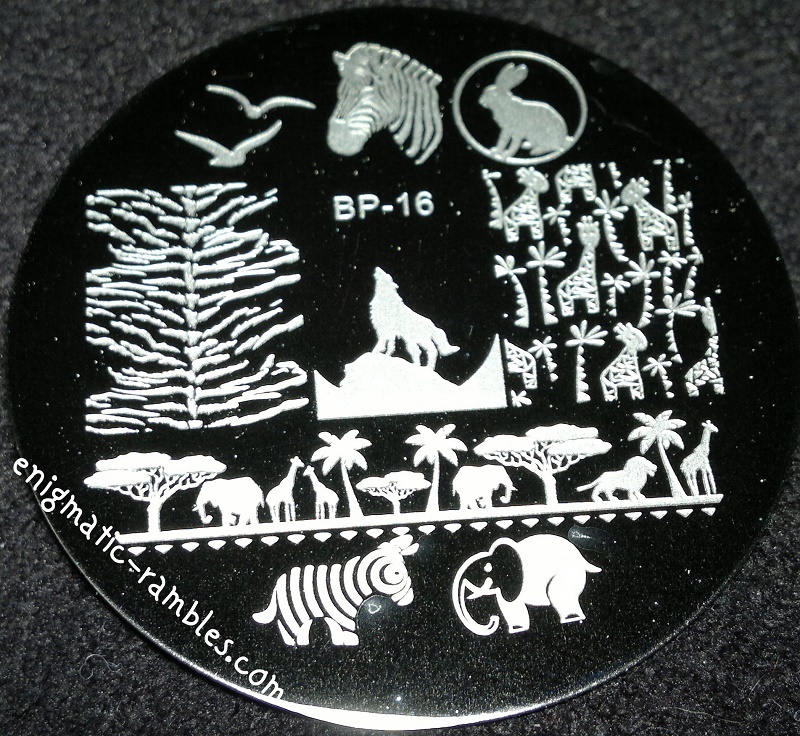 I used Kleancolor Metallic Sapphire to stamp with and as you can see I didn't have problems with any of the images other than the rock the wolf is standing on. This plate has quite a lot going on, 6 single images and 3 full nail images. I really like the longer image, I think it will make sunset designs so much easier. Both of the zebra images are cute too. Once I have used this plate you will be able to see all of them by clicking here.